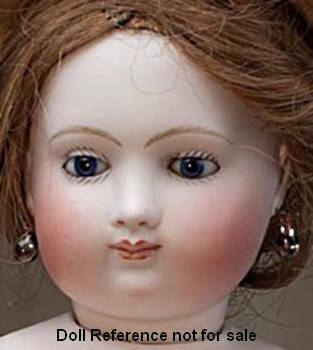 Claude Joseph Blampoix Ainé (Senior) was a Paris, France doll maker from 1840 until 1862. 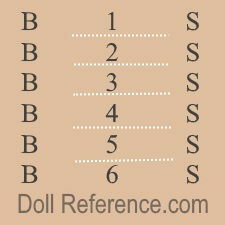 He made bisque shoulder head Poupée de Mode, Fashion Lady dolls, with molded hair or wigged, moving or fixed patented enamel (1855+) or glass eyes and kid Lady bodies. His successor was Duval-Denis in 1861 and 1863 (Blampoix took the business back in 1862), then Louis Charles Dallox from 1868 to 1889. 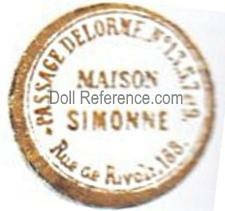 Blampoix is known to have supplied bisque heads to Louis Léon Prieur and fashion Lady dolls have been found with Blampoix's doll mark and Passage DeLorme doll shop, Maison Simonne paper labels attached.